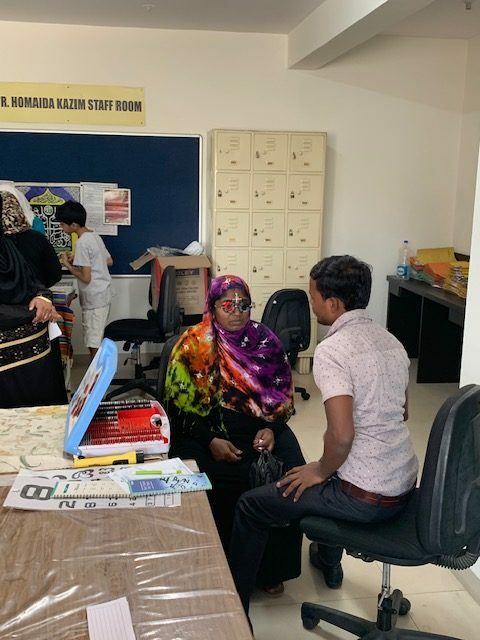 An exclusive Eye screening Camp was organised by The Lifeline Foundation to all the beneficiaries and their relatives at Al Azhar School, Goripalya. The Camp was conducted with the support and co-operation of the Principal and teachers of the school. Awareness about the camp was created by making announcements in the weekly meetings. It was conducted in two batches. 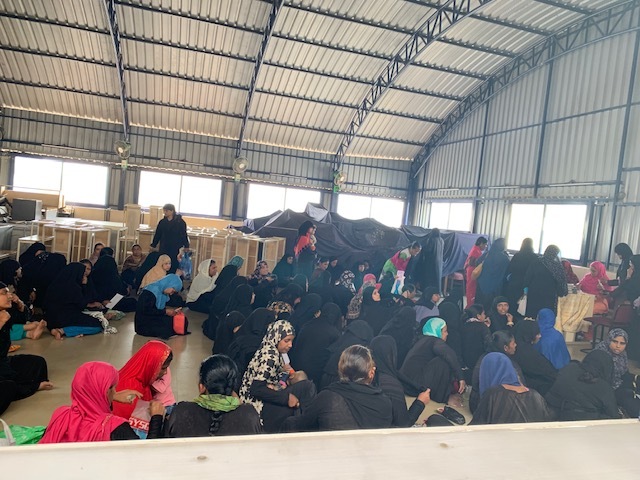 The Eye Screening for the first batch was held on Saturday, 2nd February and Saturday, 2nd March 2019 was for the second batch. Goripalya is the first branch of Lifeline Foundation. It consist of more than 300 active members. Since its inception, Lifeline has disbursed 3389 interest free microloans worth Rs 2 crore alone in Goripalya branch. In addition, charitable work has been carried out towards Education Scholarship, Medical Aid, Health Camps, Skill Development and debt clearance. Humane Touch Trust facilitates our work for more than 10 years and have been supporting us in all our initiatives. The team of Nethra Drishti Hospital had volunteered their staff to run the camp. The registration process was conducted by the staff of Lifeline. The patients were checked by the optometrist and then by Dr Syed Zulfiquar and his medical team. In this camp, patients were examined for common eye problems, and were provided free medicines, Eye drops and Spectacles. A total of 300 patients were screened at the camp. 145 Spectacles were provided and sponsored by the Humane touch. 5 Patients identified for the cataract surgery as well. The total expense of the camp was Rs 25,750. We thank the trustees of Humane Touch for their support in organizing the camp. May Allah bless you and accept your contributions, and strengthen us to do more and better work.